There are different circumstances for some foreign residents of Germany affiliated with the military. There are, however, a number of foreigners that are in Germany legally under other circumstances. Uniformed military (and their accompanying family members) from the USA and NATO countries are allowed residency under various Status of Forces Agreements (SoFA) negotiated with the German government. Civilians that work for the various defense departments or ministries as well as diplomats and other foreigners assigned to their country's embassy or consulates may also have a different status (as do their family members). 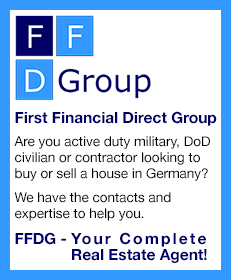 A different status may also be afforded to foreigners who work in Germany for companies that contract with the various foreign military and diplomatic offices of other countries. Some residents that are self-employed may also fall under this category. Issues regarding residence permits, health insurance, tax status and filing requirements, spousal employment, eligibility for German social benefits, German driver's licenses, proper registration procedures and others things may raise questions from this group. For example, if a spouse of an active duty USA military member takes a job with a German company would he or she be eligible for German benefits? What sort of tax issues would that present? Or suppose a person from the USA, UK or Canada is working for a home country based company that has a contract to perform services in Germany? Would health insurance issues and benefits be involved? These are just a couple of examples of the sort of situations that those in Germany under "different circumstances" may face. If you think you may fall under any of the "different circumstances" you may want to get in touch with experts regarding legal, accounting and tax matters who can offer advice and help. You can download a matrix with information about possible scenarios and compliance requirements here. This is for informational purposes only. Business Set-Up Ltd. is one of the companies that may be able to help. 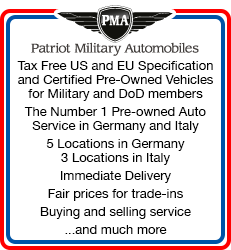 They are located in Ramstein and have a English speaking staff that can advise you on everything from German taxes and benefits to business registration and pension funds issues. Additionally, they can work with the German tax authorities and take care important functions on your behalf.